Introducing Skedaddle, the coolest new way to travel with friends on a budget. The ability to travel is a privilege, one that I am constantly aware of. We need ample time, equipment (luggage, camping gear, etc. ), transportation, and money. It's difficult for a student, struggling artist, or young professional to have all those stars align for a successful trip. There needed to be a change in the travel space. Thank god for Skedaddle, then. Skedaddle is an ingenious concept perfect for city dwellers without cars and/or adventure seekers on a budget. You can rent a private bus for your own custom route, create a route but leave it open to the public (thus making rides even cheaper), or join an existing route for an impromptu journey. The possibilities are endless, the rides can be as little as $5, and the memories will be priceless. A group of travel aficionados and I banded together to take Skedaddle on a test run and see what the experience was really like. 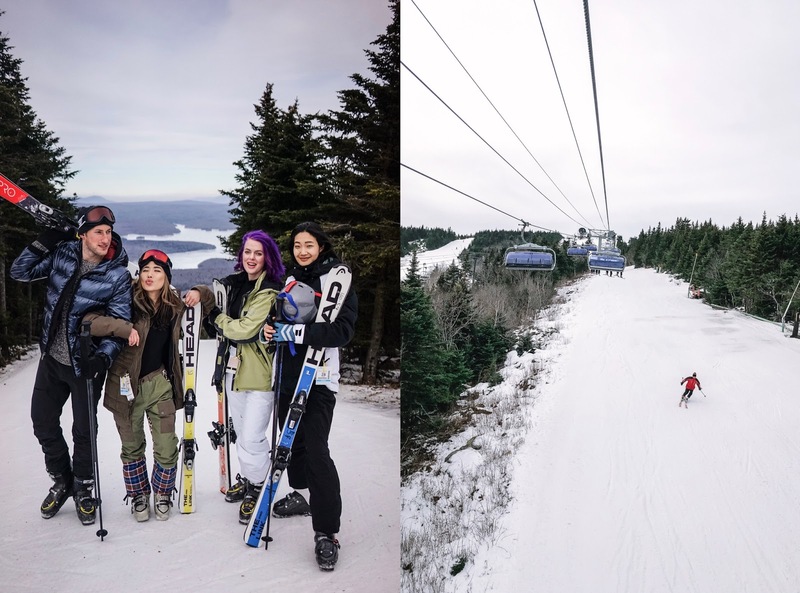 We took a bus from NYC to Vermont for a fun weekend of snow and skiing. We met up bright and early at 5:30 AM for a 4-hour ride to Mount Snow, Vermont. The ride was smooth and easy, and I didn't know it was possible to hit so many states in such little time! Ah, the beauty of living on the east coast. Our first day/night was spent at the Hermitage Club, an elite members-only club (with their own ski slopes!) that allows outside guests to experience their amenities if they stay in the single-family-homes-turned-inns scattered about the property. Very quaint. 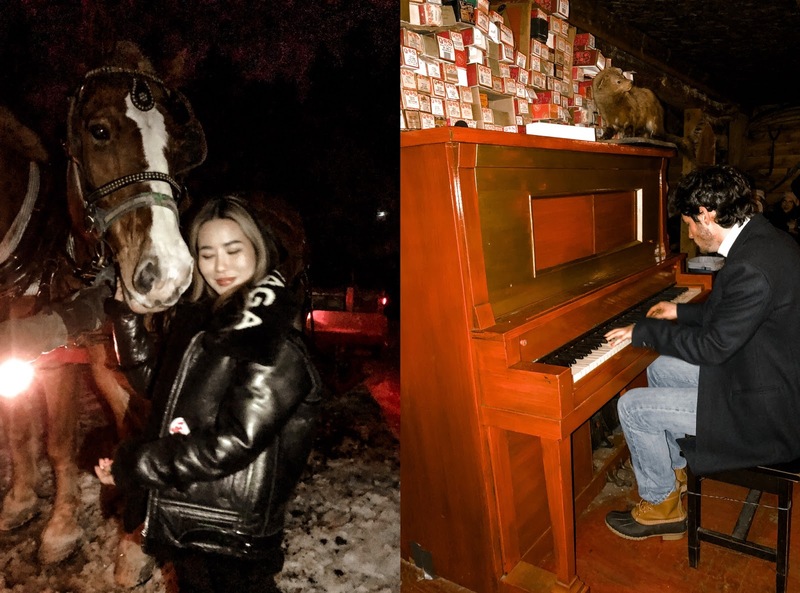 After a full day of skiing, we had aprés ski drinks at the club, then a horse sleigh ride through Adam's Family Farm, ended in a log cabin with some hot chocolate. One of our guys spontaneously started playing the piano and singing; it was a surreal and beautiful moment. Adam's Farm was teeming with life: sheep, horses, goats, dogs, cats, human babies, you name it. 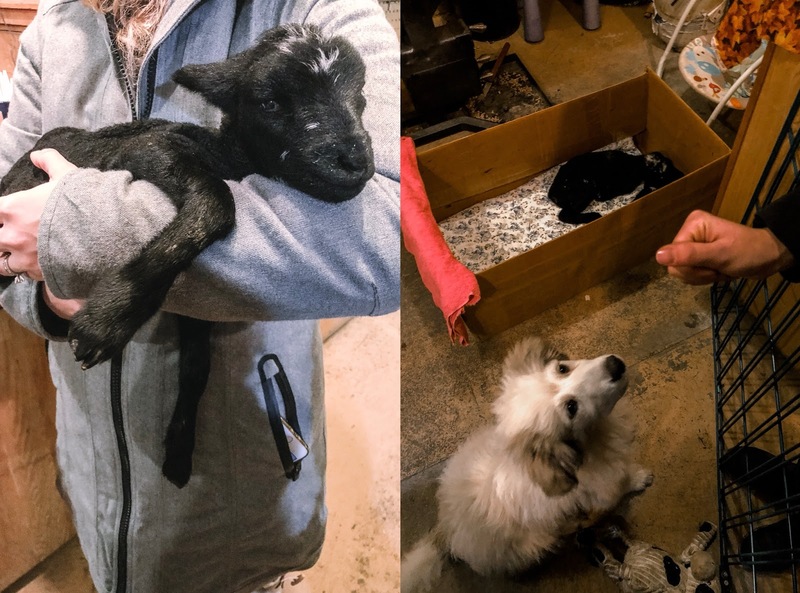 I think half of our group members cried when they saw twin prematurely born lambs that the farmers were taking care of--the babies were four days old! We had dinner at The Last Chair, a very comfort food-style restaurant that had a friggin' ARCADE. 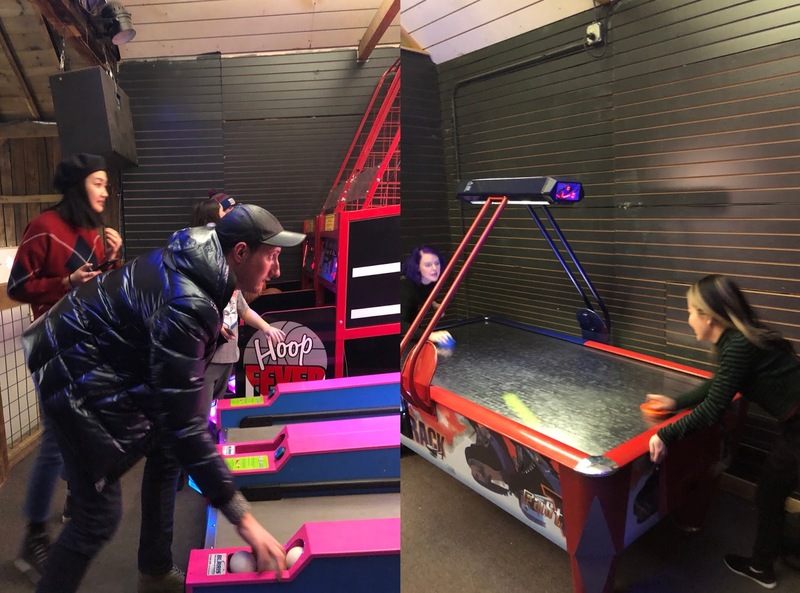 It felt like Chuck E. Cheese's and we had zero shame running around and playing games with the child patrons. 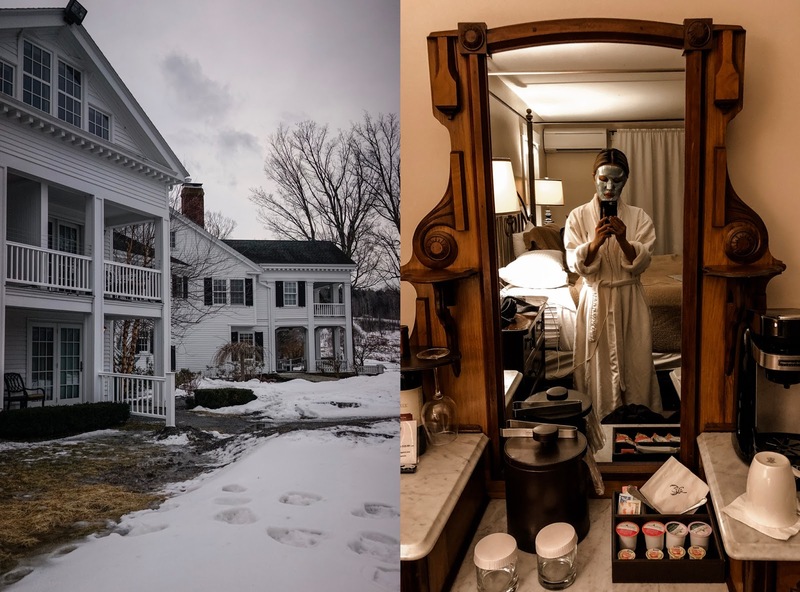 I ended the night in my quaint little inn (with a sheet mask). The next day was spent at Mount Snow's public slopes, which I actually preferred because my best friend Danny didn't know how to ski and the Hermitage Club is more for intermediate-to-expert skiers and didn't have a bunny slope onsite. 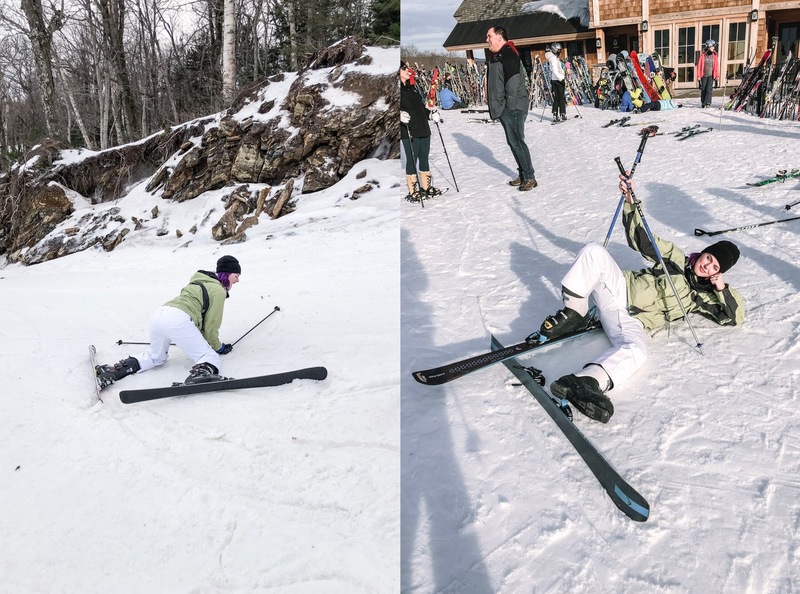 I'd never taught someone how to ski before, but that weekend, I learned that I'm quite good at it. Danny learned super fast and I was so proud of her, but I'm gonna embarrass her and show you all her wipeout photos, lmao (don't worry, I got her permission first). I got us celebration beers after her first completed run! Skedaddle verdict: An absolutely amazing concept, perfect for us millennials who have limited funds but crave adventure and changes of scenery. As a New Yorker, it's really helpful for me because the city can get stifling and claustrophobic if you don't have opportunities to escape the noise. Unfortunately, riding a crowded train for hours just to get upstate or dropping a few hundred on a plane ticket just aren't very ideal options. Skedaddle gives you the option to meet new likeminded friends or have a private trip with the people you know and love, all without costing you an arm and a leg for your much-needed getaway. Skedaddle is a new concept. Most of the youth want to enjoy their weekends and holidays touring with their friends. But the hardly have any money to spare due to their heavy life expenses.A major part of their income is consumed by the home rent. Money which is left after all their expense will not be enough to plan a nice trip. So the skedaddle concept will greatly helpful for them. Planning a trip with more number of friends will make the expenses much cheaper. I really appreciate you for sharing this idea with us. Keep sharing details about more such trips.